The Dunstan brand has been established for 50 years, supplying Australian farmers with quality, innovative and technologically advanced harvesting equipment. Want to have a chat about Dunstan? With a team of approx. 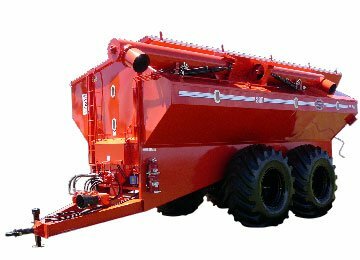 45-50 staff, our vision is simple – to provide you with world class equipment that changes the way you harvest. 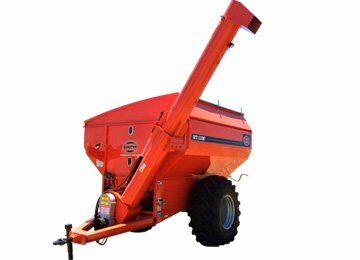 From our super strong Chaser bins, to our impressive mobile Mother bins, Dunstan’s products are proven performers to save you time and make your harvest more efficient, year after year. Today, Dunstan’s continues to invest heavily in research and development, and aim to provide world class products by adopting the very best in design, development, manufacturing and testing processes. Dunstan’s operates from two factories in regional Victoria. The Kerang site near the Victorian/NSW border is head office and production facility for all chaser bins and mother bins. The 40 acre site continues to expand and has significant production capability. Our Ballarat facility is where our full range of Trailers are manufactured – including aluminium and steel tippers, drop decks, flat tops, side tippers and skels. 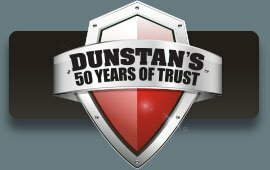 The Dunstan range of products are sold and serviced both direct, and also through key dealer networks nationally. We offer our bins with a choice of either heavy duty roll-over tarp, or hydraulic operated steel roof. 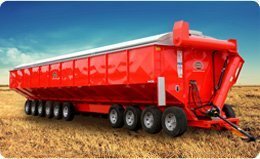 We look forward to having you as a Dunstan owner and changing the way you harvest. Australian made, world class!